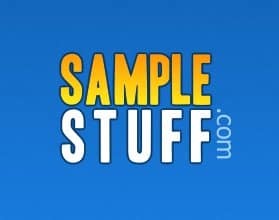 At SampleStuff, I seek to find the very best deals, sales, coupons, freebies, free samples, promotions, sweepstakes, contest, and so much more. Ultimately, my mission is to provide my readers with a comprehensive resource for these deals in a timely fashion. However, this is a tall order for one person! If you want to help me out, use the contact form below to submit a new freebie to me. I’ll review the offer and may run it on the site. Maybe you run a freebie blog of your own and want to bring awareness to it. If you want to write posts for the site in exchange for a promotion to your blog, feel free to submit your content for review.